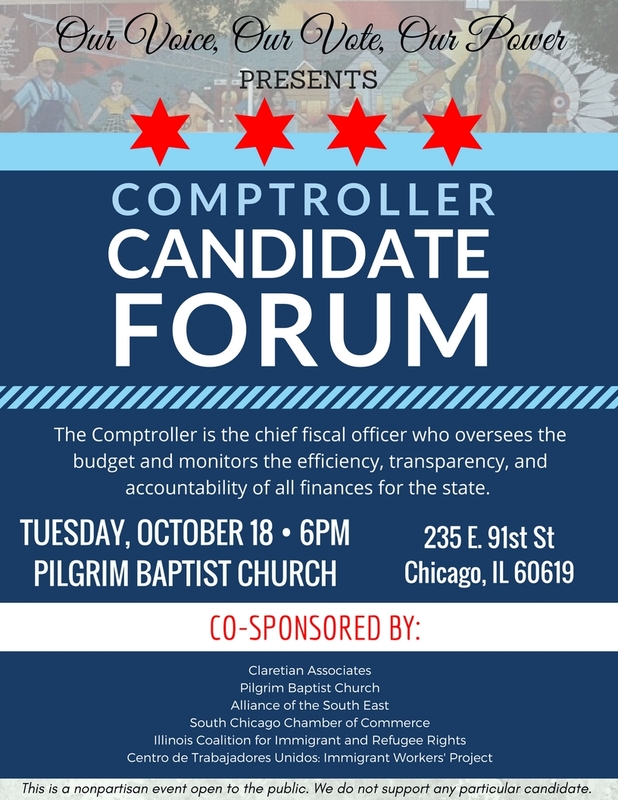 Our Voice, Our Vote, Our Power is hosting a nonpartisan Comptroller Candidate Forum on October 18, 2016 at 6:00pm at Pilgrim Baptist Church. 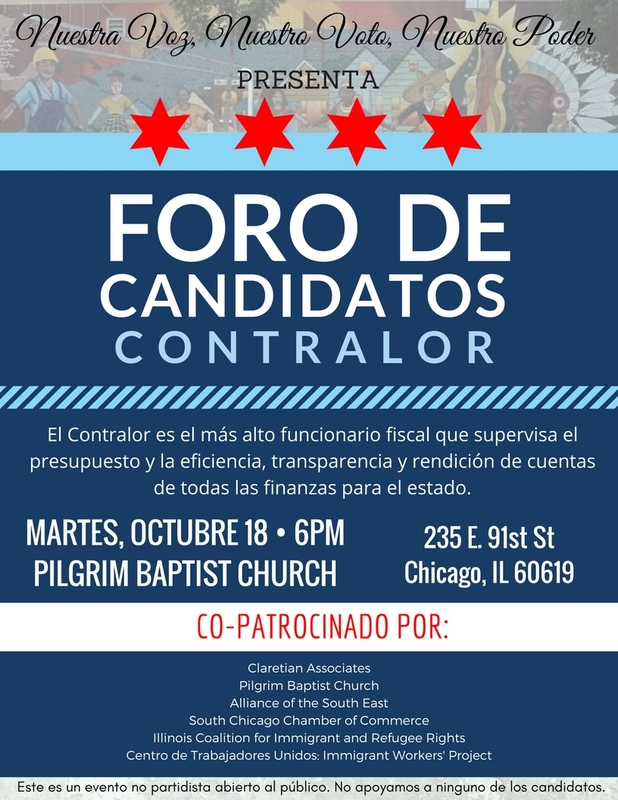 Join our candidate forum to learn more about the role of the State Comptroller, who is running for the Comptroller seat, and how they stand on the issues that affect the Southeast Chicago community. This a nonpartisan candidate forum that is open to the public. We do not support any particular candidate. 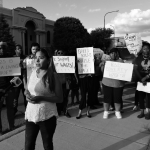 For more information contact Brenda Rodriguez at 773-817-9683. 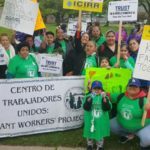 Our Voice, Our Vote, Our Power is a coalition comprised of Claretian Associates, Pilgrim Baptist Church, Alliance of the South East, South Chicago Chamber of Commerce, Illinois Coalition for Immigrant and Refugee Rights, and Centro de Trabajadores Unidos: Immigrant Workers’ Project.